Who is Nancy Pelosi’s Husband, How Old is She, What is Her Net Worth? I have always had a healthy dose of respect for women who are breaking new grounds for the female population in the world of politics. The female politician Nancy Patricia D’Alesandro Pelosi who is simply called Nancy Pelosi in the political realm broke all shackles of gender barrier to emerge as the first female Democratic Leader of the House of Rep. She also set a record as the first female speaker of the house and this feat has distinguished her as the first female politician to ever attain one of the highest political offices in the history of the United States of America. Nancy Pelosi did not attain her exalted position by magic, she started as a volunteer and little by little, she moved up the ladder, but her big break came in 1987 when she leapt to public office during a special election for California’s Eighth District. Below are further details about the great woman of our time. Biography, How Old is She? Nancy Pelosi was born in Baltimore, Maryland on the 26th day of March 1940. 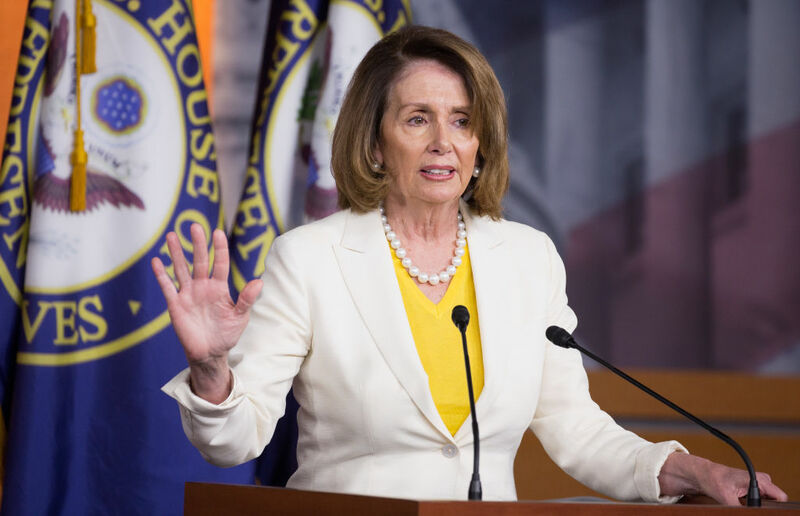 The House Minority leader is an Italian-American woman, she was born as the youngest child of Annunciata M. “Nancy” D’Alesandro (mother) and Thomas D’Alesandro, Jr. (father). Nancy’s father was active in politics as a Democratic Congressman from Maryland and also served as a past Mayor of Baltimore. Her elder brother Thomas D’Alesandro III was also active in politics, he was a Democrat and from 1967 to 1971, he served as the Mayor of Baltimore but left politics by choice. Her educational background can be traced to the Institute of Notre Dame, which is a well-known Catholic all-girls high school in Baltimore, she later proceeded to Trinity College in Washington, D.C. where she bagged a degree in political science. After her graduation, Nancy went into politics and started from the scratch as a volunteer for the Democrats, as she rose in the party, she was actively involved in hosting parties as well as helping with political campaigns until she attained the enviable position of the first female Democratic Leader of the House of Rep as well as the first female speaker of the house. Who is Nancy Pelosi’s Husband? The veteran female politician, Nancy Pelosi is a happily married woman. she is visibly married to Paul Frank Pelosi whom she met while she was still a student at Trinity College. The couple tied the nuptials on the 7th day of September 1963 at the Cathedral of Mary Our Queen. They lived in New York for a while after their marriage but had to relocate to San Francisco in 1969 where her husband’s brother works as a part of the City and County of San Francisco’s Board of Supervisors. The couple has been living together since 1963 and shares a total of five children which include; Alexandra, Paul, Jacqueline, Corinne, and Nancy. One of their kids – Alexandra is a journalist and was responsible for the coverage of the of the Republican presidential campaigns in the year 2000. Alexandra also produced a film from the experience titled Journeys with George. Nancy’s hubby, Paul, is a big name in the business world. He is the owner of Financial Leasing Services which is a huge venture capital investment and real estate firm with their base in San Francisco. The San Francisco Gate revealed that Paul spends three weeks in a month in San Francisco, running his business but dedicates one week of every month to his family in Washington, D.C. where he spends quality time with his wife. According to the submissions of the non-partisan Center for Responsive Politics (CRP) which have prepared their estimates based on the facts and figures from public disclosures, the female politician’s average net worth has varied over the years. In the year 2004, CRP estimated Nancy’s net worth at $101,273,023 and ranked her in the 8th position out of 25 wealthiest congress members. Prior to that, in 2009, CRP ranked her 13th out of 25 richest congress members and pegged her net worth at $58,436,537. In 2012, the congress woman’s net worth was pegged at $26.4 million by the Business Insider. The tabloid also ranked her 13th out of 15 wealthiest congress members. In 2014 also, Roll Call’s Wealth of Congress Index pegged the congress woman’s net worth at $29.35 million and ranked her in the 15th position among 50 richest congress members. According to the submissions by Roll Call, both Nancy and her husband have properties with its worth estimated at $14.65 million – they include a commercial real estate in San Francisco and a St. Helena vineyard in Napa Valley worth $5 million, part of Roll Call’s submissions is that Nancy’s wealth has a lot to do with her husband’s heavy stock investments, in notable companies like Facebook, Shutterfly, Walt Disney, Apple, Comcast etc. Roll Call pegged Nancy’s liability at $13.46 million – mortgages on seven properties included.